Addendum: I am always seeking guidance from the Ancestral Spirits, the Ones who take care of me. When they speak, I listen. I recently asked them for direction as to how best to reach many more people, in order to provide even greater access to the value of The Ways of my Caretakership. It was they who instructed me in offering THE WISDOM FIRE. In further conversation with them, they instructed me to open the doors of opportunity wide by making the WISDOM FIRE teachings available for any and all. I took this to mean ‘at no fee’. I am following through with that guidance. I have dropped all fees associated with the WISDOM FIRE teachings. All you need do is participate! 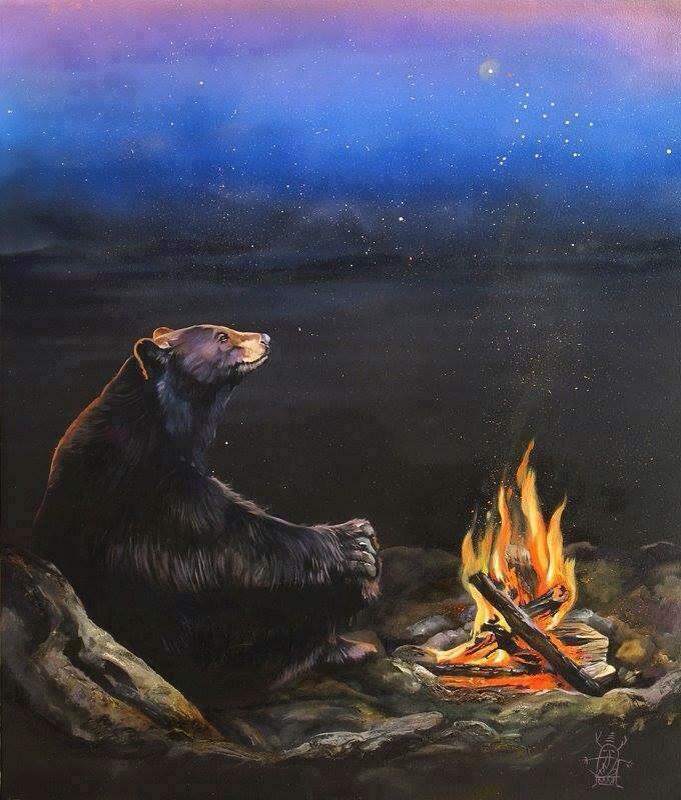 The Old Man sits next to the campfire, warming his bones against the night’s chill. Above, the stars glimmer in patterns that have become as familiar to him as the members of his own family. Throughout the day and into the night the succession of animals moves through the surrounding forests, along the valley’s stream and gliding overhead in the sky. He knows them by the sound of their movements, their mewlings and cries. Some, even, would pause in their journey to acknowledge the Old Man, in recognition of his relationship with them as a Brother, born of the same Mother. Even the Wind has come to know his name, so often has he sung a song of love to it. The Old Man ponders his life so far. His youth, filled with the fervor of the need to bring about change. His mid-life, becoming the change he wished to see in the world. And now, his elder years. These years, his passion is banked as if it were the last log upon the night’s fire. The Fire is fed, tended, kept hot and vital, without wasting what remains upon flashiness and flare ups. For he knows that there will still be many travelers passing through this valley and that these Questors will need a place to sit, a respite for the night before moving along. The Old Man knows that what he has to offer them is simple: A safe place to rest, a meal and a story. But most of all, they would need a bit of the Fire. With an ember of his Fire gifted them, they will be enabled to start their own fire when they arrive at their destination. The Old Man knows his purpose in his elder years. His honor is to share of the Wisdom Fire with those who come to sit with him as they journey along their path. He smiles, and warms his bones beside the fire. It is good. You are invited to come sit by the Fire! 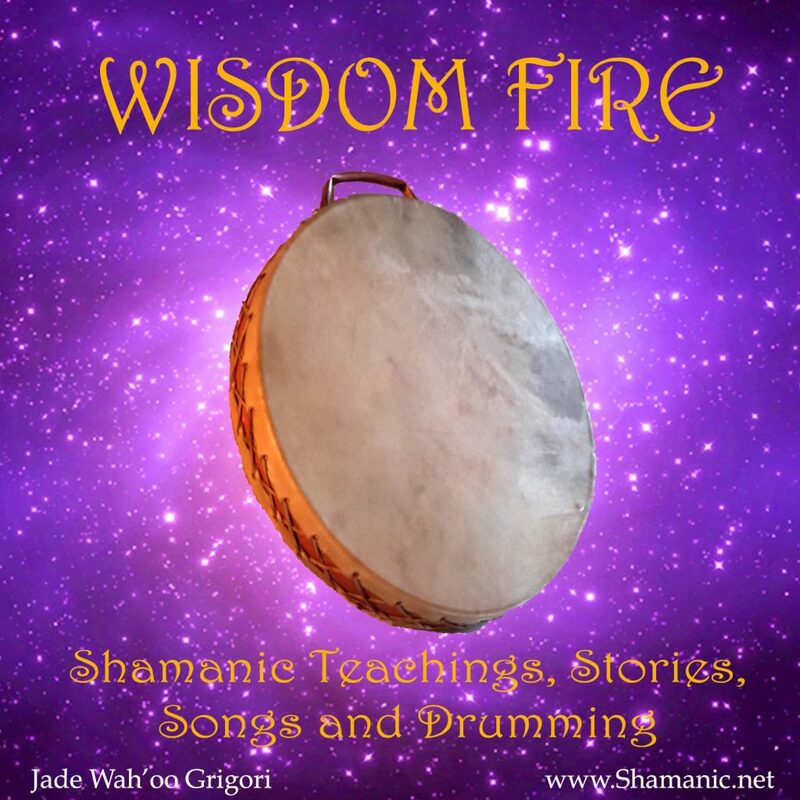 Jade Wah’oo will be sharing a bit of the Fire with you: Shamanic knowledge, teachings, drumming and songs, perspectives and insights garnered from his lifetime of dedication and practice in the Shamanic Ways. 30 minutes +/- of Jade sharing his offerings.